NEW: Giorgio Armani - Armani Code A-List! Thread: NEW: Giorgio Armani - Armani Code A-List! Armani Code will be released in 2018 in the new limited edition Armani Code A-List. The new fragrance is conceived as an elegant and sophisticated creation that goes with tuxedo. "Code A-List is a perfume infused with the seductive notes of the first iconic Armani Code aftershave, yet has been distilled further into a rare blend. Magnifying ingredients, bergamot and green mandarin blend with the smoky tones of Gaïac wood. A tension has been created between lavandin grosso heart and the intensity of Tonka bean. Due to a unique way of extracting, the lavandin grosso heart brings luminosity, opening doors to the exclusive world of Code A-List." 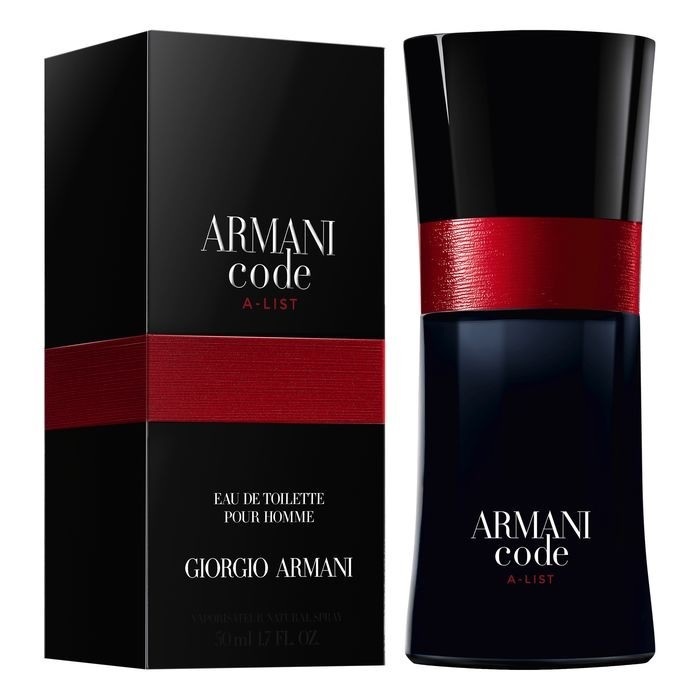 Armani Code A-List is available as a 50 and 75 ml Eau de Toilette. Re: NEW: Giorgio Armani - Armani Code A-List! Smelled this today at Macy's. My question is, what's the point? Maybe it's me, but it just smells like Code. I found it quite similar to Code also. Me too. Luckily I never had high hopes for it in the first place. It feels exactly like Code Ultimate, there is maybe a minute difference which I cannot describe, however, the performance is better than code ultimate. NEW: Giorgio Armani Code Cashmere For Women!